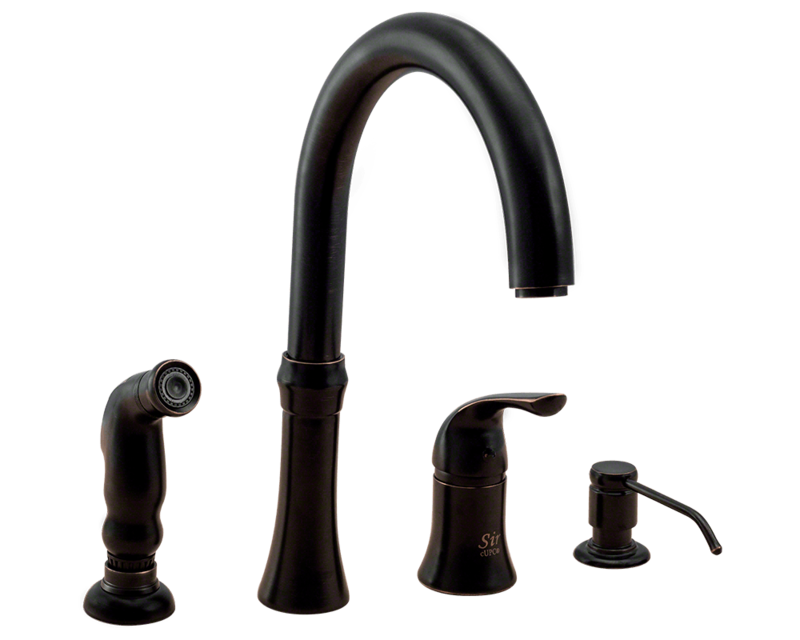 The 710-ABR Four-Hole Kitchen Faucet is available in an antique bronze finish. It contains a 360 degree spout and includes a soap dispenser and side spray for easy cleaning. The dimensions for the 710-ABR are 12" x 8 1/2" x 13 1/2", and it is ADA approved. The faucet is pressure tested to ensure proper working conditions and is covered under a lifetime warranty. The 710-ABR has so many great components that are sure to make your kitchen sink user-friendly.